Exclusive interview with Aileen Chia, Singapore’s tech policymaking and regulatory chief at IMDA. Governments around the world are grappling with this challenge. We live in an age of greater convenience, choice and possibilities. But there must be safeguards on privacy, competition and data use. This is something Aileen Chia is contending with. 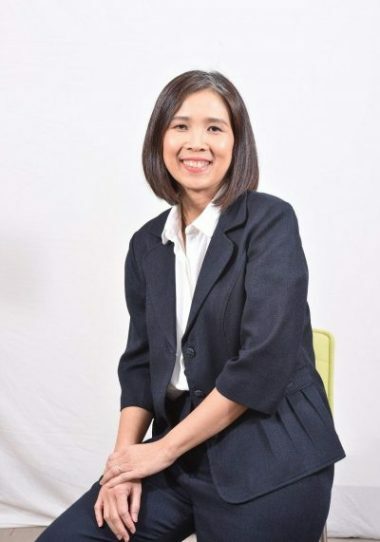 The Deputy Chief Executive of Policy, Regulation and Competition at Singapore’s Infocomm Media Development Authority (IMDA) says that her agency is “at the forefront” of tech changes, assessing whether they are threats or opportunities, and working with the industry to adapt its policies. “We have to prepare ourselves to respond to those technologies that we think are coming on board, or we have to put frameworks in place to enable them to take place in Singapore,” she tells GovInsider. This work is on competition, privacy and data use, while a separate part of the government is dealing with issues of fake news. An example of the shift in the local tech industry is Singapore’s largest telco, SingTel, she says. It has gone from telephone operator to internet provider and broadcaster, to now offering a range of online services from ebooks and video platforms to payments, data analytics and advertising services. Meanwhile, tech companies are providing online communications apps, like WhatsApp, that compete with traditional services like SMS provided by telecom operators, she adds. This trend of “convergence” means that telecoms and broadcast companies could in the future offer more communications and media services of their own over the internet, she adds. Such “over the top” (OTT) services are not currently regulated or licensed by IMDA. “IMDA adopts a light-touch approach towards OTT players.” For instance, WhatsApp or Facebook do not need a licence from IMDA to offer their services in Singapore. Telephone and broadcast companies have a huge amount of information on consumers, including the amount of data they consume, and when and how they used it, their locations and content preferences. IMDA is monitoring how telecoms and media companies could use data and algorithms to provide more personalised services, she says, while balancing consumer interests in data use and privacy. Chia highlights three key trends that could affect the industries, driven by the potential rise of data and algorithms as the fundamental force behind telco and media companies. One is that many companies don’t charge their customers money for online communications and media services, she says. Think of Facebook and Twitter, which fund their platforms by using algorithms to sell targeted advertising to consumers. Governments have very little insight into how these algorithms work, which makes it much harder to monitor anti-competitive behaviour. “In today’s internet-based environment where many services are provided free of charge, how do you look at predation [predatory pricing]?”. Companies can squeeze other players out of the market without governments even knowing. Governments may have to use other measures such as service quality and service features, rather than prices, to monitor this, Chia says. The second is that algorithms can allow companies to predict what their competitors plan to do in the future, she says. This increases the risk of collusion and, again, the algorithms make it much harder for governments to detect. “Right now the discussion is ‘how do you think about the impact of these algorithms on competition?’,” she adds. As a result of these shifts, IMDA is asking questions of the industry on how data and algorithms might affect competition in the future, and what policies and tools would then be necessary to adapt. “Some of these things are beginning to alert the competition authorities around the world, including IMDA”, Chia says. The consultation is part of a broader ongoing overhaul of IMDA’s guidelines for telcos and media, including “how the market should behave in a competitive environment and what are the behaviours that are not condoned, or considered anti-competitive”, she says. IMDA will enable people to subscribe for service packages online, rather than having to visit a shop to change their cell phone plans, and that all telcos provide more transparent and structured billing information. “We are looking at, for instance, the way we license and whether there is an opportunity for us to use technology in issuing licences”. These could include using e-signatures to authenticate and verify digital licences, she adds. The agency could also look to provide a more interactive, digital interface, where real-time information will be pushed to companies. Potentially, these could be reminders on renewals, and updates on licence conditions and enforcement. Other countries like Argentina and Finland have launched digital licences in transport, construction and environmental services. Apart from an improved experience for businesses, digital licences could give governments a more accurate and real-time analysis of their revenues. Another part of Chia’s role overlooks Singapore’s 5G infrastructure, which the government is getting ready to launch. IMDA has waived 5G spectrum licence fees until the end of 2019 for local telcos to test and trial how companies can use ultra-fast networks to develop new services. The agency is looking to “facilitate the deployment of this technology, at the end of the day to benefit people, benefit businesses”, she adds. As it moves to even greater connectivity, cyber security becomes a bigger risk. Singapore is looking at “quantum key distribution” to encrypt its data. This is the most sophisticated method of encryption available, where keys to encrypted data are locked and cannot be accessed by hackers without being noticed. IMDA is working with the National University of Singapore’s Centre for Quantum Technology to provide technical training on quantum key distribution to companies this year. The Singapore Government needs to create the laws and rules that telecoms, big tech, and media companies should play by. How do you level the playing field, while rewarding success? Singapore is still figuring that out.